Spring is here to welcome us and the world of flats has once again taken a forefront in the fashion world. Featuring great designs and unconventional silhouettes, the trending flats of the season will have you comfortably walk your way into summers. If you are looking for some fashionable pairs to add to your collection, we have today compiled a list of 10 flats that will give a perfect upgrade to your shoe closet. 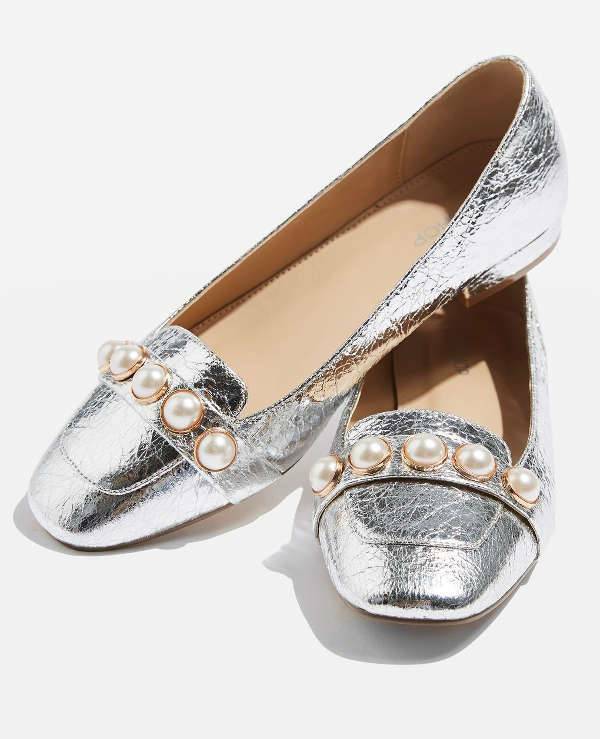 In a beautiful glistening silver color, the Annette pearl detail shoes are one of the most fashionable pairs to add to your Spring collection. These low heel court shoes can instantly glamorise even the most basic outfit. The pairs are certainly perfect if you enjoy the taste of ladylike fashion. The Opal from KG Kurt Geiger are an absolute must have for your slip on collection. 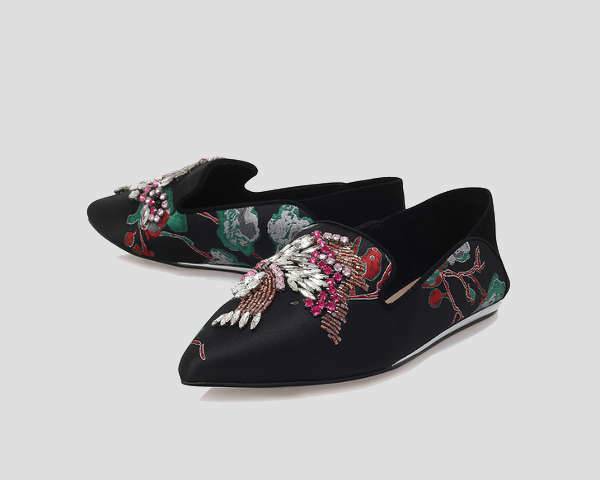 With a smooth black upper, the slip-on features an eye-catching print work that is supported with multi-coloured embellishments that help in bringing a luxe edge to the outfit. 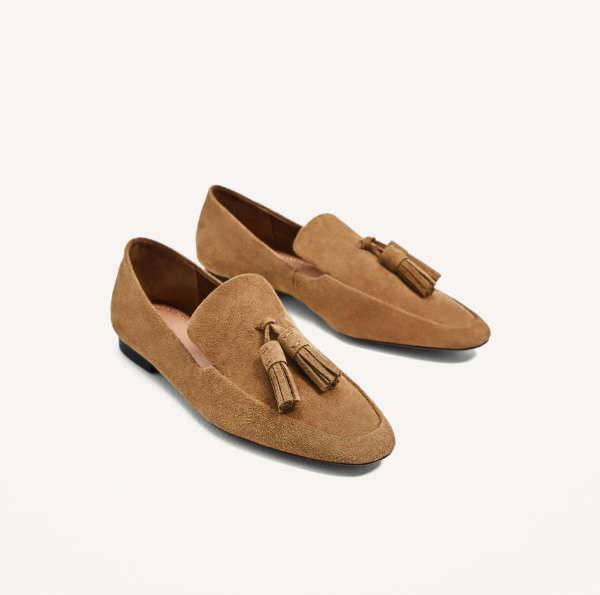 The perfect pair to wear for your time lounging, the Zara split leather loafers with tassels will give a luxurious feel to any outfit. The outer leather comfortably molds to the feet and with an affordable price, there is absolutely no reason to not buy them. If you are someone who has a particular and picky sense of style then you can never go wrong with a T-Bar shoe. Boden’s pair comes in four different color options, but the one to catch our eye is definitely the black and white spotty pair. 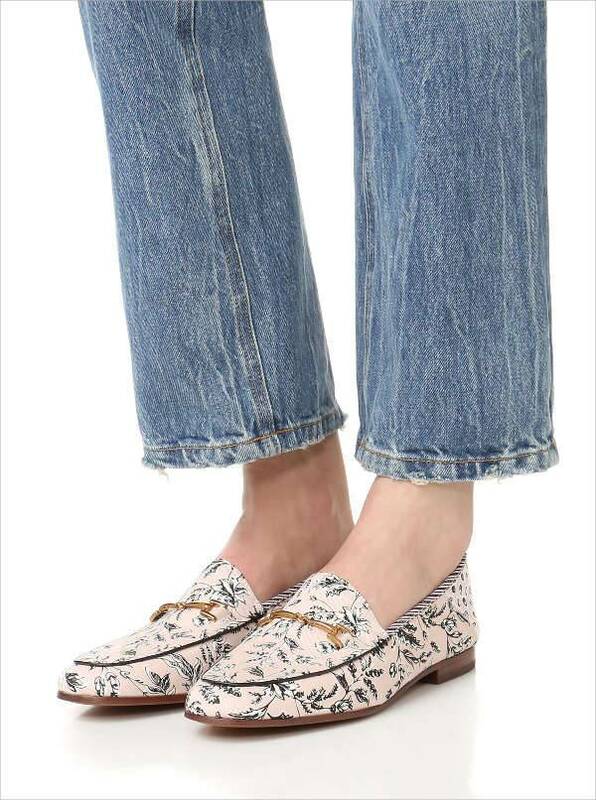 Edelman adds a refreshing touch to the standard loafers for Spring. If you like to play around with texture and patterns, these Edelman loafers are worth the try. Pair the loafers with a T-shirt and cropped jeans. We agree that they are quite expensive but the Varina flats are worth the expense. We all know there is nothing better than Ferragamo when it comes to quality and craftsmanship. 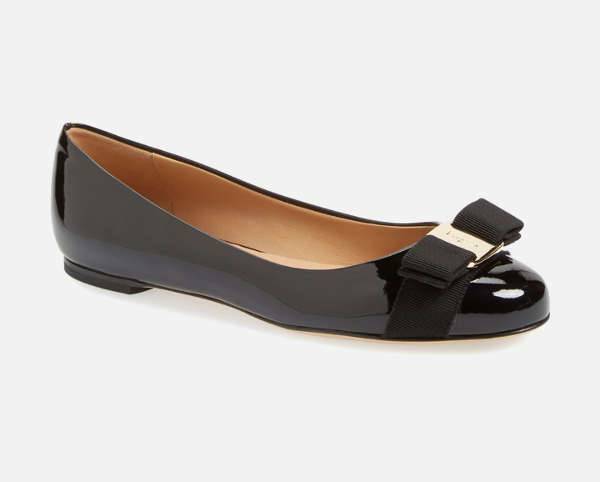 With a beautiful pop of colors, the leather flats can be paired with black or bisque. With a contemporary and edgy braided style, the sandals are extremely comfortable and a versatile piece to wear. The sandals can be beautifully paired with jeans as well as dresses and skirts. 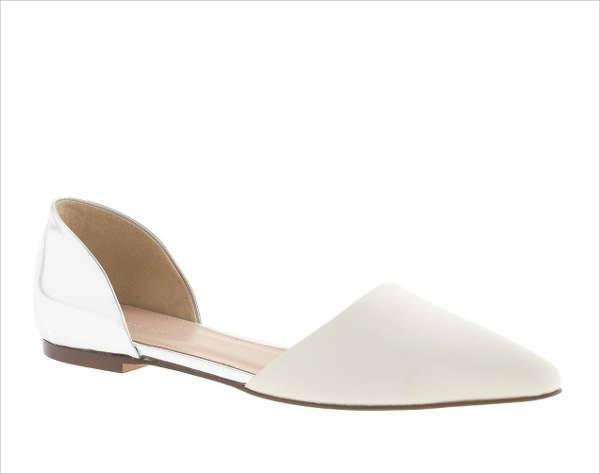 Featuring a pointy toe and discreet heel, the new d’Orsays are a sleek and chic alternative to the everyday ballet flats. A versatile piece, the flats can be worn with formals as well as casual wear. The Sebille flat in linen and suede have a 0.5’’ braided jute heel. The flats come with a round cap toe and an adjustable ankle wrap. With an iconic silhouette, the gladiator sandal will single-handedly redefine the wardrobe. The sandals can beautifully complement the Bohemian dresses paired with belted oversized shirts. 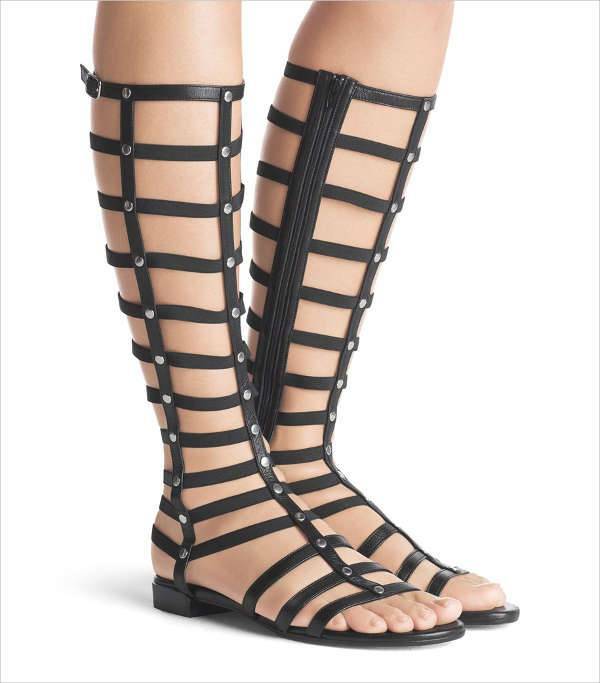 The gladiators are also a perfect piece to complement with shorts. Pick your perfect pair of flats and step up your style game this spring.